Poulan Pro 2-n-1 Gas Lawn Mower, Hi Rear Wheels, 140cc Engine, 21-In. 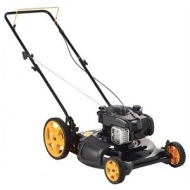 Poulan Pro 2-n-1, high wheel push lawn mower, 140cc briggs & stratton 500 series ohv engine, 5.00 ftlb gross torque rating, 21" stamped steel deck, side discharge/mulch capable, mulch kit included, 7" front & 12" rear wheels, 5 position fingertip height adjusters, fully assembled with folding handles, engine oil included in carton, optional side discharge bag, 2 year limited warranty, epa/california carb compliant. 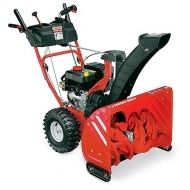 Compact 2-stage Sno-Thro with powerful 223cc 9.5'/lb. Ariens AX223 engine. Self-propelled with six forward speeds/2 reverse speeds. 120v electric start, 24" clearing width & 20" intake height, 11-" steel serrated augers, 12-" 3 blade impeller, 205 degree quick turn steel chute with remote deflector, cast iron gear case with steel alloy gears, 15"x 5"w directional snow tread tires with pin-lock axle, headlight in dash, reversible steel skid shoes, uses standard outdoor extension cord not included, 40' throwing distance, 3 year consumer warranty, 5 year consumer on gear case, 90 day commercial warranty, 1 year commercial on gear case. 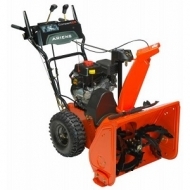 Ariens Classic 24 offers no frills just power and performance. 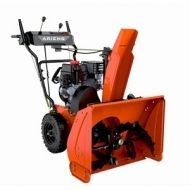 The Classic 24 2-Stage Sno-Thro has a 208cc 9.5'/lb Ariens AX engine. It's self-propelled with 6 forward / 2 reverse speeds. Engine comes standard with 120V Electric Start. Large 11" auger and 12" 3-blade impeller to cut through the snow and send it flying. The 205 degree quick turn chute control and cap adjustment make it direct the snow to an exact location. The Classic is built for durability with a top-loaded aluminum gear box and all-steel construction. Tires keep grip on the snow 13" x 4" with Pin-Lock control. 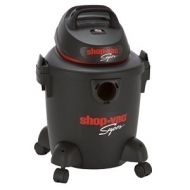 5 gallon, 2.0 peak hp, wet/dry vacuum, powerful single stage bypass motor, features quiet operation, durable plastic tank, easy roll casters, 2 latch lid for convenient use, easy use on/off switch, cord wrap, 6' power cord, accessories included: 6' x 1-1/4" hose, 3 wands, 10" floor nozzle, foam sleeve, reusable dry disc, ul listed. 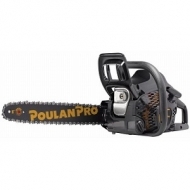 Poulan® Pro Gas Chain Saw, 40cc Engine, 16-In. Poulan® Pro, 16" gas chain saw, 40cc, 2 cycle engine, 16" low kickback bar & chain, oxy power reduces emissions up to 70% & lowers fuel consumption up to 20%, anti-vibration handle, automatic chain oiler, eps effortless pull starting system, professional style chain brake, and super clean air filtration system. 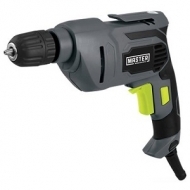 Master Mechanic introduces a 3/8-inch VSR rotary drill engineered to be faster with higher RPMs. Lightweight, compact and powerful with contemporary black/gray colors and ergonomic rubber over-mold grip to provide comfort on your longest jobs. Features a powerful 5-amp motor that delivers 0 - 3,000 rpm, convenient keyless chuck, forward & reverse lock-on switch and belt clip. 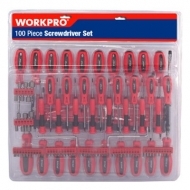 Kit includes 10 high-speed steel drill bits: 3 each of the following sizes: 1/8", 3/16", 1/4" and 1 of Size 5/16". 8-foot power cord for added reach. Plus, it's backed by a three-year mfr. 's warranty. Master Mechanic, 4.5", 6A, Angle Grinder Kit, 11,000 RPM With 5/8"-11 Spindle, Die Cast Gear Housing, Slide Switch On Top & 3 Position Auxiliary Handle, Spindle Lock, Tool Free Quick Adjustable Guard, Includes: 3 Cutoff Wheels, 1 Grinding Wheel, 1 Wire Brush & Nylon Tote. Master mechanic, 20v, 3/8", lithium-ion compact cordless drill kit, 2 speed, reversible, variable speed trigger switch with brake, ergonomic design, 0-400, 0-1500 rpm, 300 in/lb torque, 24 torque settings, on board trigger activated led work light, over molded soft grip handle, includes: 1.5ah samsung battery with charge indicator & 1 hour quick charger, for replacement battery use #211881 & charger #211880. MM30ft ABS Co-Molded TPR Housing Tape Measure, Nylon Coating Protected Blade With Stud Markings Every 16 & 19.2 Inch, Fractional Markings; With Belt Clip. 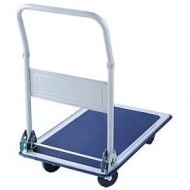 Folding handle platform truck is a must-have when moving. 330 lb capacity, 19" x 29" platform with non-slip surface. Milwaukuee® 25-Ft. 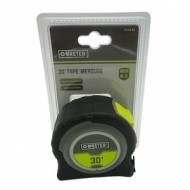 Compact Measuring Tapes - 2-Pk. Milwaukee Tape Measures Are Nothing but Heavy Duty. Featuring Nylon Bond Blade Protection and a 5-Point Reinforced Frame, they offer the Longest Life by resisting contamination wear and increasing protection when dropped. To increase productivity on the jobsite. 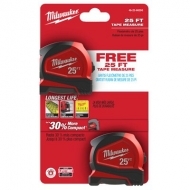 Milwaukee Tape Measures feature fractional scale for easy reading and optimized hook designed for scoring. For added utility, Milwaukee Tape Measures have stamped steel belt clips and are lanyard ready. Master mechanic, 20v, 1/2", lithium-ion compact cordless li-ion drill kit, 2 speed, variable speed trigger switch with brake, steel chuck with spindle lock, ergonomic design, 24 torque settings, 0-450, 0-1700 rpm, powerful 442 in/lb torque, on board trigger activated led work light, over molded soft grip handle, includes: (2) 1.5ah li-ion samsung batteries, 1 hour quick charger & nylon tote. 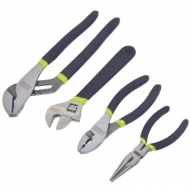 Master Mechanic, 4 Piece, Pliers & Wrench Set, Nickel Plated Finish For Adjustable Wrench, Machine Finish For Pliers, Cushion Grip Handles, Made Of Heat Treated Forged Steel Meets Or Exceed All ANSI Standards. 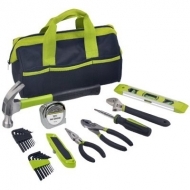 24PC Home Tool Set With Bag: 1PC MM 16oz Claw Hammer, 1PC MM 8" Adjustable Wrench, 1PC MM 6" Slip Joint Pliers, 1PC MM 6" Long Nose Pliers, 1PC MM 16Ft x 3/4" Tape Measure, 1PC 6-In-1 Screwdriver, Bits Size: SL 1/4" - PH2, SL 3/16" - PH1, 1PC Utility Knife, 1PC 9" Alu. Torpedo Level, 16 PC Hex Keys: Metric 1.5, 2.0, 2.5, 3.0, 4.0, 5.0, 5.5 & 6.0mm & SAE 1/16", 5/64", 3/32", 1/8", 5/32, 3/16, 7/32, 1/4". 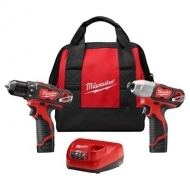 Milwaukee M12 cordless lithium-ion, 2-tool combo kit. 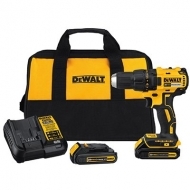 Includes M12 3/8" drill/driver & M12 1/4" hex impact driver. 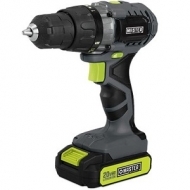 Drill/driver delivers up to 275 in. lb. of torque, metal ratcheting chuck for maximum durability. Impact driver delivers 1,000 in. lb. 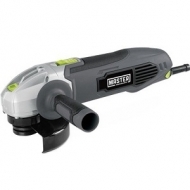 of torque, 0-2,500 rpm for increased fastening speed. Both feature on-board battery fuel gauges that display remaining run time and ergonomic handle designed for increased comfort. 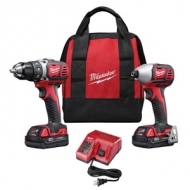 Kit includes: (2) M12 1.5ah lithium ion battery packs, M12 lithium-ion battery charger & contractors bag. 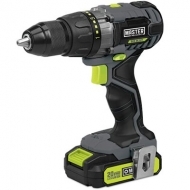 20v, Max, lithium-ion brushless compact drill driver, compact lightweight design, high performance motor delivers 300w out of power, high speed transmission delivers 2 speeds, 0-450 & 1,500 rpm, 1/2" single sleeve ratcheting chuck, includes: two 20v max compact lithium-ion battery packs, compact charger & contractor bag. 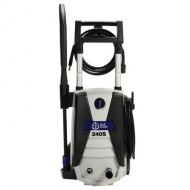 1700 psi, electric power washer, 1.4gpm, 13a, upright wheeled cart, standard 120v plug in, 35' long gfci electrical cord, wheels on the base make moving easy, 20' high pressure hose with quick connect, quick connect spray gun with adjustable spray nozzle tip, automatic start, total stop system, includes turbo nozzle, rotating lance, built in detergent tank, built in inlet filter, cord release & telescoping handle, all the tools you need store conveniently on the unit, aluminum pump, csa listed, 1 year limited warranty. 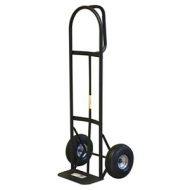 D-Handle Hand Truck can carry up to 800 lbs. Features 7.5" x 14" Toe Plate and 10" Pneumatic Tires. 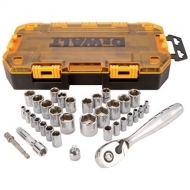 Standard and precision screwdrivers and nut drivers for tackling jobs of all sizes. Double color injected handle for maximum torque. 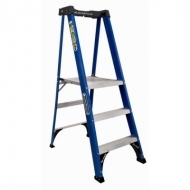 Fiberglass platform stepladder, type II, 225 lb rating. Maximum reach 9' x 5", platform height, 2' x 10", depth 17 5/8". Completes projects safely & comfortably. Pro-top keeps all your tools close at hand so you get your project done faster. Extended handrail increases comfort & security. Shoe & boot protects ladder & floors. This 26-Inch Troy Bilt 2-stage snow thrower is powered by a dependable 243cc engine and features one hand operation, 12-inch steel serrated augers, and an extended chute. 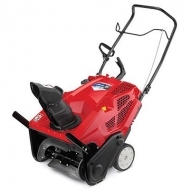 This Troy Bilt single-stage snow thrower features a 208cc 4-cycle engine (no more mixing oil and gas!) and push-button electric start for easy, no-hassle operation.